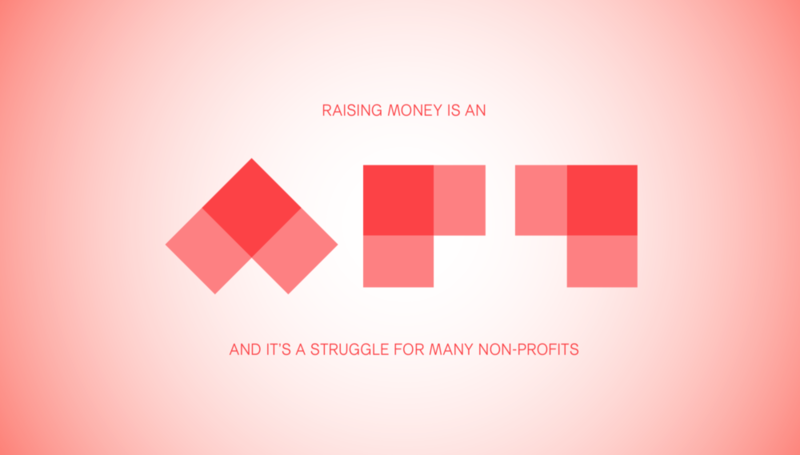 Though it's perhaps the least altruistic, the third reason sparked our curiosity and compelled us to devise a new mechanism for incentivizing philanthropic donations with prizes. 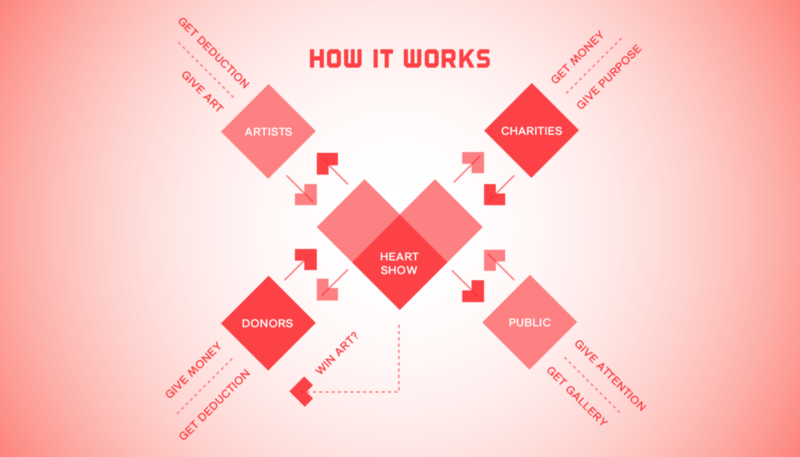 To promote charitable giving, we created HEART SHOW. 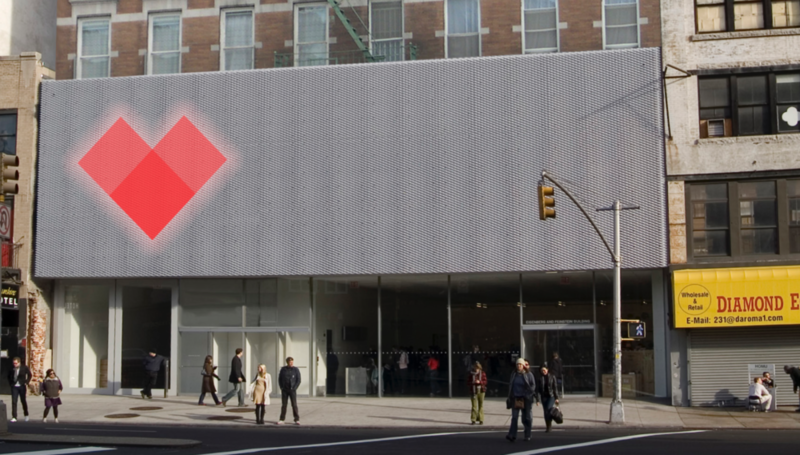 It’s a gallery that accepts donated work from well-known artists and uses those pieces to incentivize donations from the public. 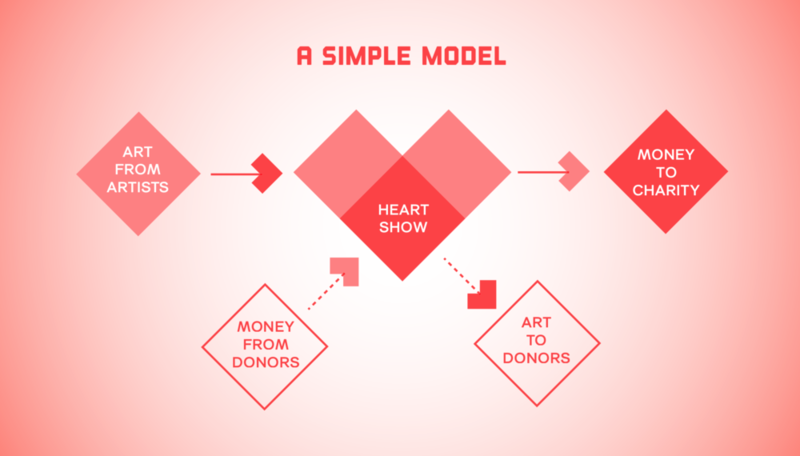 It works just like a lottery—by offering valuable art from artists like Jeff Koons, David Choe, and Banksy as potential rewards for donating, a philanthropy like the Red Cross would raise much more money. the public, and the chosen charity. Donations from artists and financial donors are tax deductible, all donors have a chance to win valuable art, admission is free for the public, and charities raise money by selling art they didn’t have to pay for.